South of Mt Mary at eastern end of ranges. For directions see main Coggan Bore. The bore and well are two separate locations. Huckitta Well is 100 metres upstream on a side track, as the main Coggan Bore track crosses the braided and vegetated Huckitta Creek. The Huckitta Bore is about 5 kilometres to the north-east, accessed by a side track heading east from the main Coggan Bore track. The Huckitta pastoral station is not part of this area, situated instead to the north-east of Harts Range. Specimens have been labelled with both the bore and well name in the past. Mindat map shows the bore location. 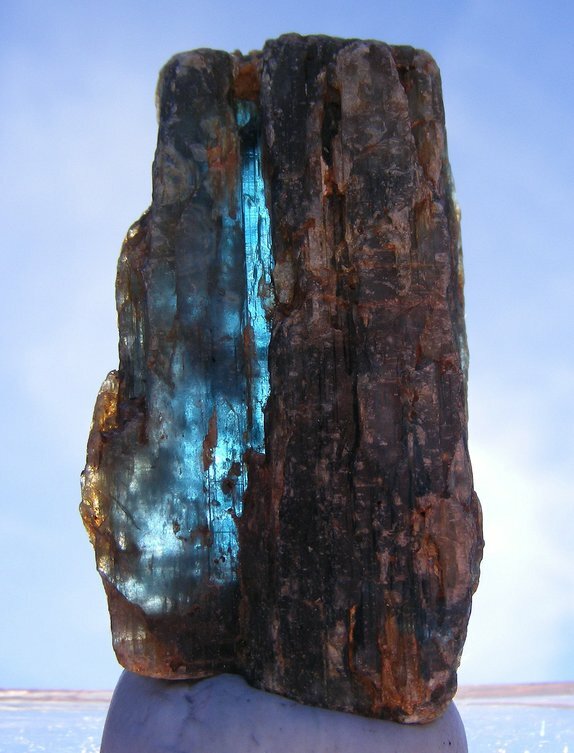 The main interest in the area is kyanite and hessonite garnet, producing impressive specimens. Location details are vague to non existent. We live in hope Mindat will be updated, however fossickers can get possessive about their favourite location. 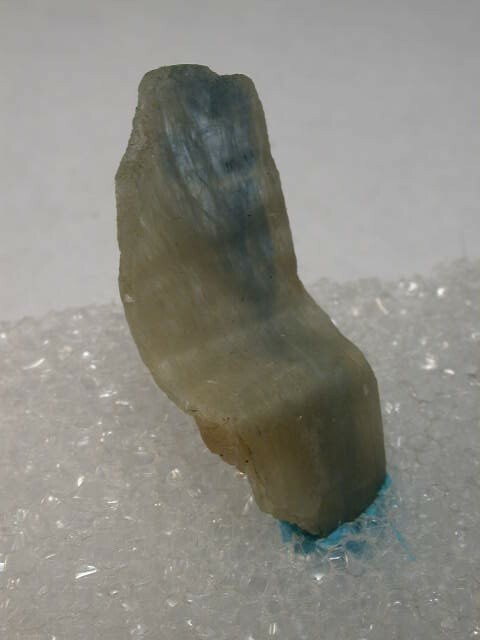 In a general sense, kyanite is found in the Entia Gneiss, extending 4.5 miles north, and 3 miles west of Huckitta Bore. Kyanite in large concentrations is found 3 miles north-west of the bore, as kyanite gneiss in a fault zone close to the contact between granodiorite and the Entia Gneiss. Concentrations are so great, there has been considerations to mine it in the past. 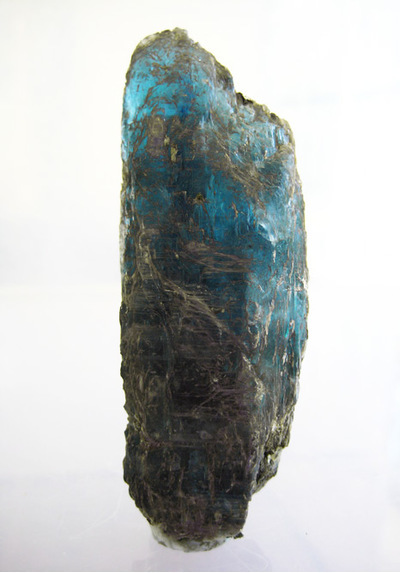 Some kyanite crystals are 10 inches long, occurring in gneiss and mica schist, often with corundum. 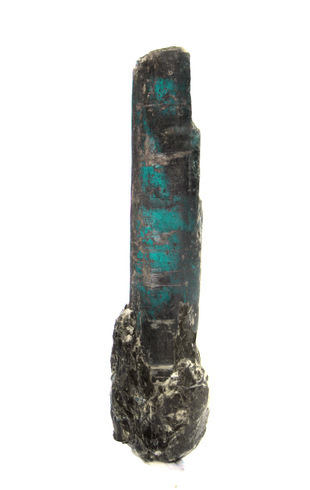 Impressive specimens of hessonite garnet in quartz has also been seen occasionally for sale. Clear quartz crystals, schorl crystals, and diopside crystals sometimes accompany the hessonite. The location could not be found. Regional geology studies note highly garnetiferous rocks, including grossularite (hessonite) across a wide area south-west of the Huckitta Creek crossing. Mining for the garnets was undertaken in the early 1980's for gemstones, however distance, remoteness and other factors saw this cease. It is not known if the specimens came from this period or later. Sloggett, T. (1979) Preliminary Report for Hillrise Properties Pty. Ltd. on Uranium Deposition, the occurrence of red corundum (ruby) and potential industrial minerals in The Harts Range, Illogwa Creek area, Northern Territory, CR1979-0012.